With origins in auditing and taxation, the Harrison Group Consulting (HGC) evolved into a boutique consulting firm specializing in non-traditional accounting services, supporting corporate financial reporting and strategic management planning. Our firm offers consulting services to selective clients in financial reporting, regulatory compliance, taxation, risk management and business advisory. We differ from our accounting and auditing counterparts. Not satisfied with delivering exceptional assurance, accounting and taxation services, we responded to our clients' requests for more informative and responsive financial reporting. 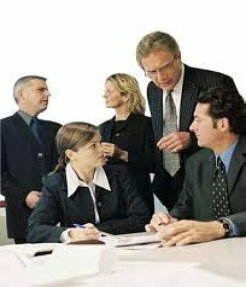 HGC consultants work with clients to tailor engagements to desired management's specifications. Our consulting services are objective-driven to achieve defined results that are measurable. As businesses respond to mounting regulations and fierce global competition, more demands are placed on Corporate Finance beyond traditional financial reporting and strategic management planning. Business managers require improved metrics, enhanced flow of financial information between disparate reporting units, and innovative strategic management practices. HGC works closely with CFOs and managers meet these new challenges by improving the corporate financial reporting process, identifying business risks, and introducing innovative management tools, while, at the same time, achieving competitive advantage. We believe that traditional accounting services, when combined with other management disciplines, becomes a powerful business tool that will enhance our clients' business advantages in a very competitive global marketplace. Our consulting services merge traditional accounting and Lean Six Sigma to produce measurable results. HGC consultants bring to client engagements, extensive experience in auditing, consulting, and compliance, and are extensively trained in Six Sigma and Lean Manufacturing. To achieve and maintain a competitive advantage, it is not enough to have accurate and timely financial data. Business managers need new management tools and processes that will give them robust financial information across disparate and diversed reporting platforms in real-time. We were the first to introduce and apply Lean Six Sigma to Corporate Finance. We called this service Lean Six Sigma Finance And Accounting. Lean Six Sigma Accounting applies methodologies and processes developed by Lean Manufacturing and Six Sigma to Accounting and Financial Reporting. Through standardization, continuous improvements, and training, championed by Lean Manufacturing and Six Sigma, HGC consultants help clients achieve faster closings, produce more reliable and informative financial statements and reports, and realize real-time reporting of operations. Lean Six Sigma Finance And Accounting is one of many exciting developments we are engaged in at HGC. We are also proud of our XBRL Financial Reporting service. After surveying XBRL filings with the SEC to date, we were surprised, not by the errors, but more so by the inconsistencies across individual filings. Responding to the inconsistencies, we incorporated additional measures to ensure that XBRL filing are consistent and comparable to the filings of our clients' peers. Our portfolio of consulting services exemplify our commitment to offering innovative solutions to financial reporting. As stated in our firm's Mission Statement: Traditional accounting when combined with proven management disciplines give business managers a competitive edge.